LLHG recently sent a questionnaire on 15 key housing policy issues to each of the four Labour Leadership Candidates and to each of the Deputy Leadership Candidates. We will publish the responses on Red Brick and on LLHG facebook page as they are received. The first response comes from Jeremy Corbyn MP. LLHG: 1. Britain is only building half of the homes we need annually. What specific measures will you take to increase house building? JC: The key is to get local authorities building again. In the post-war decades they used to build approximately half of our homes until they were prevented from doing so – and it was then that we saw the gap between supply and demand opening up and reach its current crisis. Through local councils, regional government in London, devolved administrations and the Homes and Communities Agency a structure already exists that can deliver a large-scale council house building programme. Public investment to make this happen is vital; and would be a social and economic win-win. For every £1 spent on housing construction an extra £2.09 is generated in the economy, and ensuring we have a supply of homes for social rent is the only way in the long run to keep the housing benefit bill down. Lifting the borrowing cap in the Housing Revenue Account would mean local authorities could borrow up to the prudential limits and thereby build more homes. Returning to having regional home building targets is needed to ensure homes are built in every area, so that our rural areas benefit from building social homes as well as our urban centres. We also need to look at bringing in a Land Value Tax (especially on undeveloped land with planning permission) and other ‘use it or lose it’ measures to act as a strong deterrent against land banking. LLHG 2. How would you reform the private rented sector to make it more stable and affordable for tenants? Do you support: a. a national register of landlords; b. some form of rent regulation? JC: Yes, everyone should have a decent home that they can afford. It is currently the case that we have one of least regulated private-rented markets in Europe and spiralling housing costs. Private landlords should be nationally registered and locally licensed, including a ‘fit and proper’ persons’ test, making sure that tenants’ rights are respected and ensuring that decent homes standards – such as minimum safety standards, and being damp and pest free – are adhered to in the private rental sector. Licensing and registration should be administered and enforced by the relevant local authority. Some London Labour councils have already done some positive work in this area with the powers currently available to them, and it has been effective in moving against some of the worst offender landlords. Regulation of private rents should be linked to what determines whether something is affordable – average earnings levels and increases, not the local market rate for housing. We need this, alongside large-scale house-building, to stop the social cleansing of London and other major cities. We should cap rents not benefits. LLHG 3. Will you support the proposal, backed by former Labour Housing Minister John Healey MP, that we should aim to build 100,000 homes a year for social rent? JC: We should invest in a large scale house building programme. We should be aiming for at least 100,000 homes a year available for social rent. We need to build an additional 240,000 homes a year just to meet current demand – and we know we have a long waiting list for social homes. If we tackle our housing crisis it would help address health, education and other inequalities, strengthen local communities and naturally lead to a fall in Housing Benefit expenditure. The recent report by Capital Economics for SHOUT made the unequivocal economic and financial case for building 100,000 homes a year for social rent. We can and must be ambitious. LLHG 4. Will you support the removal of the HRA borrowing cap, to allow councils to borrow prudentially for investment in housing? LLHG 5. Do you agree that estate regeneration schemes should involve no net reduction in supply of social rented homes? JC: Yes. Estate redevelopments have led to an increase in housing units overall, but as your question highlights, those available for social rent have fallen in almost all schemes. Recent research published by Unite highlighted a loss of 8,000 social rented homes already through such schemes in London alone. This, along with Right to Buy eroding our social housing stock, and the government’s plans to force councils to sell ‘high-value’ council homes on the open market when they become vacant, will effectively social cleanse whole areas of London and other cities. Estate redevelopments should instead be done for the benefit of existing and future residents, and local communities. LLHG 6. Do you support the Right to Buy for council tenants and if so what reforms, if any, would you make to it? Do you support the extension of Right to Buy to Housing Association tenants? JC: Right to Buy (RTB) has eroded our social housing stock, and directly contributed to the current housing crisis. If we are publicly investing in building much needed social housing then this shouldn’t be converted to private wealth – one-third of all council homes are now owned by private landlords. We need to maintain the public investment in council housing for future tenants. We used to have security of tenure for council home tenants, meaning that despite not owning the property it was very much their home – in many cases for life. We should return to that. I will vote against extending RTB to housing association properties, and would favour ending RTB full stop. LLHG 7. Will you sign up to LLHG, Unite and the GMB’s joint Our Homes Our London campaign against forcing councils to sell off properties in high values areas? JC: Yes. It is important that all those who care about the future of social housing come together to oppose this policy. London needs mixed communities where low and medium paid workers can afford to live too. LLHG 8. Do you support the Chancellor’s decision to cut social rents by 1% per year? 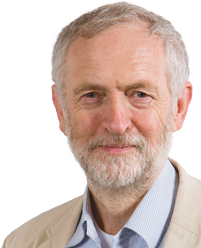 JC: Cutting social rents by 1% a year will undoubtedly help many with low incomes who are struggling to make ends meet. But I don’t believe that was the motivation for Osborne introducing this policy – otherwise he would impose such a regulation on the private rented sector too. It also is completely at odds with the government presumably continuing its policy of increasing rents for many new tenancies to so-called ‘affordable’ rents at up to 80% of the market rate. The Chancellor’s move is a crude attempt to say they have ‘cut’ Housing Benefit expenditure, and distract from the policy of asking those with household incomes of above £40,000 in London (£30,000 elsewhere) to pay market, or near market rents. This will have a devastating impact on people, particularly in London and other inner city areas – forcing people from their homes just for earning over a certain amount, or possibly giving people a perverse incentive not to earn more if they have the option. It will undoubtedly come at the cost of building more homes for social rent in the current climate. It does nothing to address the underlying cause of the housing crisis. LLHG 9. Do you support policies to switch resources rapidly from meeting the benefit costs of high rents to investing in new homes at genuinely affordable rents? JC: Yes. The majority of spending on housing in this country used to be investment in affordable housing – now the vast majority is spent on housing benefit. We need to reverse this by investing in a large scale council house building programme which will bring rents and therefore housing benefit down overall. This will require upfront investment in new affordable homes – and as the Capital Economics report set out, investment in assets that will reduce housing benefit expenditure in the future is likely to be welcomed by financial markets. . We also need to look at reducing the £14 billion tax breaks going to private landlords, and redirecting that to fund house-building. LLHG 10. Do you agree that affordable housing definition should be based on households not spending more than 30% of net income on housing costs? JC: Yes, this links housing costs to what determines if something actually is affordable – peoples’ incomes – rather than the wider market rates. LLHG 11. Would you relax restrictions on building on the Green Belt? JC: I would be very cautious about doing so. Developers will nearly always argue for the release of green belt land because it is easier for them compared to developing brownfield sites. But we don’t simply want our towns sprawling outwards with reliance on cars growing – and the green belt has prevented that to a certain extent. Any widespread relaxations would also risk inflating the land values of green belt sites, without careful planning requirements being set in place first. LLHG 12. Would you reverse permitted development rights allowing offices, shops, and other employment spaces in dense urban areas to change asset class and be converted into flats without planning permission? JC: Yes. By not needing planning permission there cannot be an assessment and provision for the wider facilities and infrastructure that communities need. In residential conversions this of course includes affordable housing. It also includes transport, education, health facilities, leisure centres, green spaces, community centres, libraries and entertainment – all the things that bring people together in local areas to create sustainable communities. LLHG 13. How would you secure more affordable housing contributions from private developers through the planning system? How would you change the current approach to viability? JC: Viability studies are being used by private developers to evade their responsibilities to build more affordable housing. Especially in London these developers and particularly landowners are making extremely large profits from the building and selling of properties. At the moment, local authorities are faced with a large imbalance of power and resources when faced with a private developer who is determined not to include affordable housing in their build. In London, there is a role I believe for the GLA to have a central resource that local councils can call on to support them when faced with a private developer wielding viability studies that say affordable housing renders a whole scheme ‘unviable’. This could include specialist support that is currently out of the reach of local councils. LLHG 14. Would you support devolution to the Greater London Authority and city regions of control over: a. private rented sector regulation; b. Housing Association regulation; c. Right to Buy? JC: As outlined above, I think that there needs to be a national framework for regulating our private rented sector, both landlords and rent, our Housing Associations and a national drive to increase house-building; council housing in particular. The implementation and enforcement of these schemes would then have to be done at city region and local council level. On Right to Buy, I think we should end it altogether but I recognise that there is very broad support for ending it as a mandatory right for tenants and instead for local authorities to be given the power to suspend or end Right to Buy in their local areas. LLHG 15. Will you commit to restoring the previous Labour Government’s homelessness safety net for priority groups and to improving support for single homeless people? JC: Yes. Rough sleeping has increased by 55% in England since 2010, and by 78% in London. Evictions of private tenants are also at record levels. There is no excuse for anyone to be homeless in one of the richest countries in the world – and we should restore access to housing benefit for all adults. Labour Housing Group is a socialist society affiliated to the Labour Party. Formed in 1981 it represents Labour members interested in housing policy, developing ideas and proposals for inclusion in the Party’s programme at national and local level. London Labour Housing Group was launched in January 2011 at a meeting at the House of Commons of 200 members of London Labour Party. It produced draft manifestos for the 2012 Mayoral election and the 2014 Borough elections, and worked with the Labour Party to campaign on housing issues during those elections. It has also contributed to a wide range of housing policy discussions including making a detailed submission to the national Labour Party’s review of housebuilding policy. In June it held a Housing Hustings for the Labour candidates to be London mayor, which was attended by 250 people. LLHG can be followed @lhglondon and liked through our Facebook page. LLHG can be contacted via the Chair Tom Copley (Tom.Copley@london.gov.uk) or Secretary Steve Hilditch (Steve@hilditchonline.com). I was forced to live in a totally squalid house by Leeds City Council for over 15 years and was eventually unlawfully evicted (in 2014) for the spurious reason of non-payment of rent. This is hard to believe but it happened even after my many desperate visits to the Council office. I paid my rent regularly through standing order; took my bank statement to the Council for proof of rent payment but a Council official said it didn’t look like bank statement. Then they (Council officials) told my bank I shouldn’t be trusted. I still don’t why. They have now realized their mistake but they don’t want to accept responsibly and rehouse me. Instead they are making me out to be the bad guy. There are people carrying Council’s ID card (I’m not sure if they work for the Council). They follow me in and out city the centre. Some of them called me a “convicted shoplifter.” I’ve never been in trouble with the police and don’t have any criminal record. I don’t know where they got that from. I got a solicitor to help expedite the case, paid £400 for her service but her initial enthusiasm has waned after writing just one letter in a year to the Council. Nothing has happened up till now. Any no win no fee solicitors out there please help. Pingback: What does ‘Corbyn-Mania’ mean for the Private Rented Sector? | Marks Out Of Tenancy – Rate your landlord, agency, property and neighbourhood. Don’t just look Jeremy! The land banking problem today is developers are caught up in the boom bust real estate cycle so must ‘make hay while the sun shines’ by land banking and speculation. No other lose it or use it measures would be necessary if the land tax can be raised to a high enough rate, they can’t avoid the tax so will either have to use it or lose it by selling the land on. But really all land should be taxed not just undeveloped plots with PP or we leave the door open to continuing zoning corruption and Buy to let freeloaders, land taxes have many other benefits too and should begin by replacing the out of date regressive council taxes and business rates, and can move onto other regressive damaging taxes like v.a.t so we can get an economy that is truly meritocratic and rewards work not privilege. Reblogged this on DarrinNightingale // ScreenWriter.